Last Monday, governor Cuomo signed legislation (S8987A/A 11011-B) that amended public health law “allowing for the use of medical marijuana as an alternative to opioids for pain management and substance use disorder.”[i] This law allows a registered practitioner to certify patients for medical marijuana as an alternative to prescribing opioids. The registered practitioner needs to sign off on the prescription of medical marijuana by agreeing that a patient’s pain degrades health and functional capability, along with other requirements. 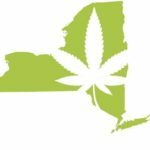 Inspired by the results from the study, in early August Governor Cuomo appointed a workgroup to draft legislation for a regulated adult-use marijuana program for the legislature to consider in the upcoming session. As part of this process, the state organized 17 listening sessions for members of the public to express their opinions on marijuana legalization. The sessions are ongoing and about two-thirds of the way through. The sold-out session in Buffalo took place at the Holiday Inn Buffalo International Airport Wednesday October 3, 2018 at 5:30pm. The remaining sessions include Rochester 10/4, Syracuse 10/9, Utica 10/10, Watertown 10/11, Suffolk-Long Island 10/16, and Westchester County 10/17. So far, news reports say that most of the speakers at the listening sessions have been in favor of legalizing marijuana.